There were some favourable interpretations of the anarchist role, such as George Orwell and Gerald Brenan, but these were few and far between, and in general anarchists saw it as their duty to defend themselves against the slanders of their erstwhile comrades in the Popular Front. Activists became the primary historians of the movement, and each sought to justify their own behaviour during the civil war period. The leading anarchist historian after 1939 was José Peirats, a vocal critic of the official CNT-FAI line and activist in the Libertarian Youth of Catalonia during the civil war. In exile in France, he began work on a history of the revolution, which was published in 3 volumes between 1951 and 1953. Peirats was straightforward about what his finished product, La CNT en la revolución española, represented: ‘Given the wave of books already published on the civil war in which we are ignored or slandered … [he wanted] a book that would demonstrate that, as well as a civil war in Spain, there was a social revolution and that this unknown revolution was carried out by anarchists in the face of the opposition and hostility of those inside and outside their movement’. Peirats and others tried to defend anarchism from outsiders, but also to criticise others in the movement for their conduct during the war – this is summarised by the debate over governmental collaboration within the movement. When the CNT-FAI joined the Catalan regional government (Generalitat) in September 1936, followed by the central Republican government in November 1936, large parts of the anarchist movement were stunned. For the first time in history, anarchists were acting as an integral part of the very state apparatus they professed to destroy. Those in favour of governmental collaboration defended their actions as the only way to defend Spain against fascism. They highlighted the worsening international situation, with Nazi Germany and Fascist Italy supplying Franco while the so-called democracies abandoned them to their fate through the Non-Intervention Agreement, and claimed that to carry out the revolution to its logical conclusion would lead to an ‘anarchist dictatorship’. 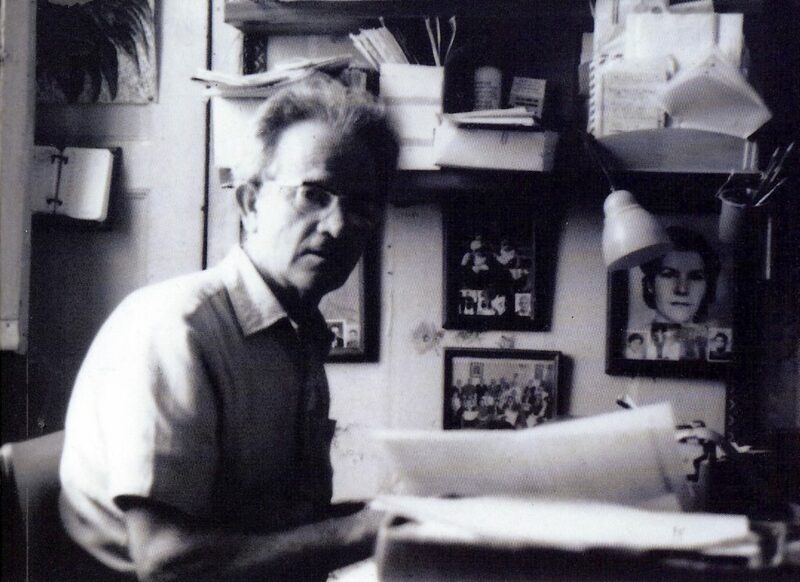 Leading collaborationist Horacio Martínez Prieto, former general secretary of the CNT, went as far as to write in his memoirs that the ‘libertarian collectives should never have been set up, being unprepared for such extraordinary circumstances’. Anti-collaborationists, by contrast, defended the spontaneous nature of the revolution, and pointed to the counterrevolutionary repression of the Republican government (particularly the Partido Comunista de España (Communist Party of Spain, PCE)) against anarchist militants as the price paid for ministerial posts. The anti-collaborationists criticised what they saw as the centralising tendencies of the CNT-FAI leadership throughout the war, and argued that a more radical line (such as granting independence to Spanish Morocco and more widespread collectivisations) could have weakened support behind Franco’s lines and won both the war and the revolution. Predictably, they called collaborationists ‘traitors’ to the anarchist ideal. 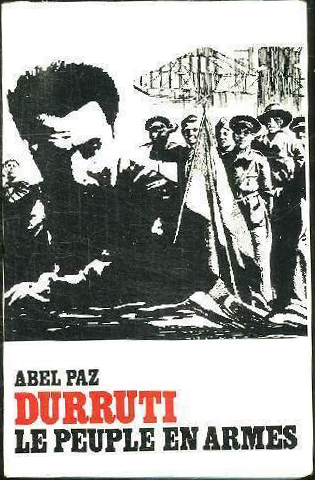 Key anti-collaborationists, along with Peirats, were Diego Camacho (who wrote under the pseudonym Abel Paz) and Anglo-Italian anarchist Vernon Richards. Activist histories in the decades following defeat, then, tended to refight the battles of the civil war. The emergence of the New Left in the 1960s witnessed an increased interest in anti-authoritarian left-wing politics and movements, sparked in part by disillusionment with orthodox communism following the Soviet invasion of Hungary in 1956. 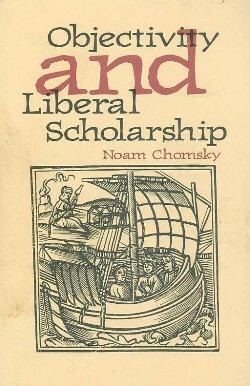 The ‘starting gun’ for many new interpretations of the anarchists in the civil war (in English at least) was Noam Chomsky’s 1969 essay ‘Objectivity and Liberal Scholarship’, in which he used the anarchist experience in Spain to condemn US foreign policy in Vietnam. Chomsky criticised what he saw as the ‘underlying elitist bias’ of liberal and orthodox communist historians who did little to disguise their ‘antipathy towards the forces of popular revolution in Spain, or their goals’. 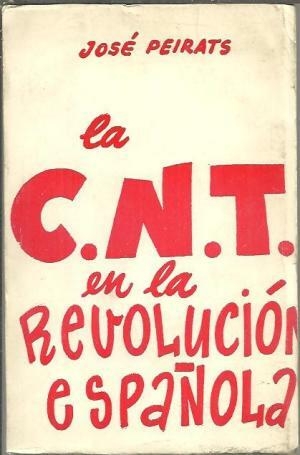 A year later, Pierre Broué and Emile Témime’s French-language study of the Spanish Revolution (a largely Trotskyist account) was published in English for the first time, and following Franco’s death in 1975 a new wave of historians began looking at anarchism both before and during the civil war. Many of these, such as the work of Walther Bernecker, attempted to take a more neutral stance towards the anarchists, and to investigate the collectives from both an economic and social perspective. Some were more critical of anarchist involvement in the war than others, but the opening of archives within Spain – and the possibility of actually publishing works within the post-Franco state – allowed a critical space for studying anarchism to emerge. As mentioned above, in the last twenty or so years there has been a resurgence in the output and depth of anarchist studies. This could be as a result of the end of the Cold War and the collapse of communism and communist parties throughout most of the world. Indeed, the anarchist activist Barry Pateman remembered veteran British anarchist Albert Meltzer once remarking to him that ‘When the buggers [i.e. the academics] have finished with Marxism they’ll start on us’. Journals such as Anarchist Studies and Perspectives on Anarchist Theory and the creation of networks such as the Anarchist Studies Network (ASN) and the North American Anarchist Studies Network (NAASN) have legitimised to some extent the study of anarchism within scholarly circles. This ‘anarchist renaissance’ extends to civil war historiography. More recently there has been a focus away from communist repression during the civil war to that of state reconstruction and its relationship to the anarchists. Helen Graham’s influential work, which largely defends the actions of the socialist prime minister Juan Negrín, views Republican state-building and the parallel quashing of the revolutionary elements of the Popular Front (including the anarchists) as a brutal but necessary process of ‘modernisation’. Graham’s work emphasises the multi-party, cross-class nature of this process, being directed not primarily by the PCE but by all the non-revolutionary elements of the government, including, to some extent, the upper echelons of the CNT-FAI. 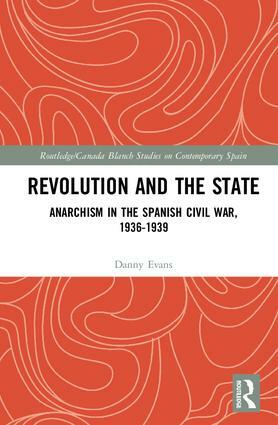 This is something dealt with by Danny Evans in his new book, Revolution and the State: Anarchism in the Spanish Civil War, 1936-1939, in which he charts the opposition to state collaboration within the anarchist movement. Contrary to some collaborationist apologists, he argues that it was much more widespread than hitherto suggested, and highlights the lengths to which the top-level committees of the anarchist movement went to suppress dissent through bureaucratic channels (and how close the anti-collaborationists came to changing overall policy, particularly in the FAI). Any summary of recent anarchist historiography would be incomplete without mentioning the work of Julián Casanova, who has produced numerous works on the tensions in the anarchist movement before the civil war, anarchist violence during the civil war period, and the collectives in Aragón. 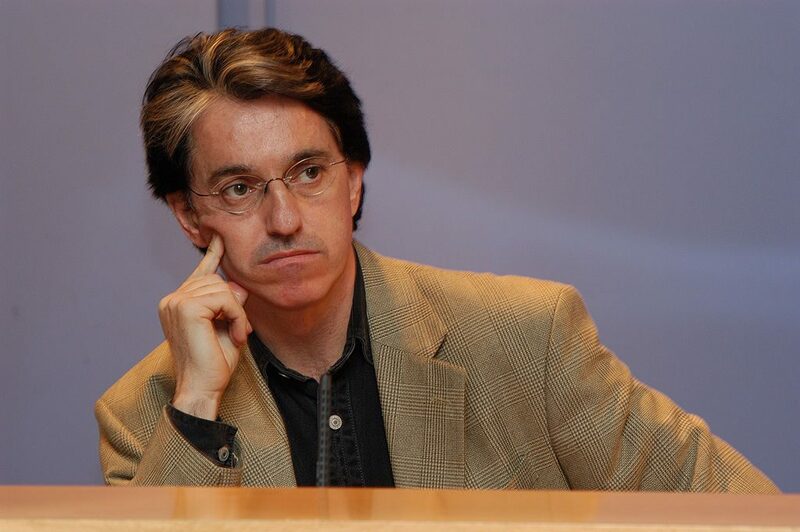 Casanova has been keen to undermine the idea of Spanish exceptionalism with regards to anarchism (something echoed by Evans as well as Jim Yeoman, among others), pointing out the similarities between Spanish anarchism and other labour movements until the turn of the twentieth century. This was a theme of much earlier historiography, such as Brenan and George Woodcock, the latter of whom maintained (somewhat tongue in cheek) that the Mediterranean weather meant Spaniards were natural anarchists. There has also been a renewed emphasis on Spanish anarchist culture, art and education, perhaps best showcased by Chris Ealham’s work on Barcelona. This complements the increased interest in the sociological base of anarchism, in line with wider Spanish historiographical trends on labour movements from the 1990s. These studies position anarchism as a social rather than political or anti-political movement. This often centres on grassroots activity or those that challenged official CNT and FAI structures, including the women’s movement, such as Martha A. Ackelsberg’s excellent work on the Mujeres Libres (Free Women). Perhaps inevitably, given the strength of anarchism in the region and the peripheral role it played in the bulk of wartime fighting, much anarchist historiography until recently has centred on Catalonia. The exception to this regional bias was Aragón, largely due to the preponderance of the anarchist-dominated Council of Aragón in the eastern half of the region until the autumn of 1937. Now, though, there are numerous regional studies of anarchism during the war, in Andalucía, Galicia, the Basque Country and Madrid. These emphasise the conspicuous role anarchists played in other regional governments (both de facto and de jure), and suggests the historical emphasis on Catalonia and northeast Spain is misplaced. 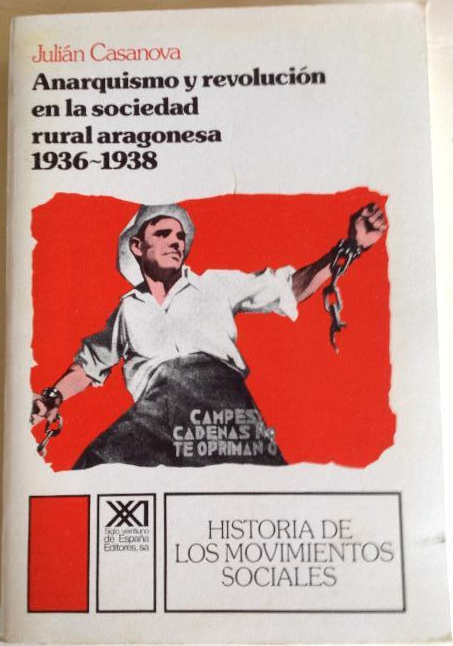 These local histories are an antidote to the idea that Spanish anarchism existed only in Catalonia, but at the same time it is important not to lose sight of the movement as a nationwide, and indeed international, phenomenon. There has been a plethora of anarchist biographies of notable civil war figures, such as Melchor Rodríguez García, Joan Peiró i Belis, Federica Montseny and Buenaventura Durruti. These give us an insight into the motivations of various individuals during the period, although what they can tell us about the entire movement is obviously more limited. Modern anarchist historiography has benefited from the proliferation of online sources uploaded by anarchist activists and historians, such as newspapers, books, pamphlets, and posters. Digitisation has led to the democratisation of the history of the movement, which is no longer the preserve of those (like Peirats during the 1950s) with physical access to archives. The ongoing digitisation of the CNT and FAI archives at the International Institute for Social History (IISH) in Amsterdam will only accelerate this process. There has also been a move to republish translations of primary documents and commentaries from the civil war, many of which can now be found on websites like Libcom.org or The Anarchist Library. Despite this upsurge in anarchist civil war historiography, there is still work to be done. As Óscar Freán Hernández notes, there is still a focus to some extent on trade union structures within the movement. This is unsurprising in many ways, as the CNT was the hub for much anarchist activity, and the written record relies heavily on CNT minutes and publications. Nevertheless, greater attention to the radicalisation of the base within the movement (and an awareness of the kind of people who became attracted to the CNT during the civil war period) would be welcome. There are also surprisingly few works on the anarchist youth movement, the Federación Ibérica de Juventudes Libertarias (Iberian Federation of Libertarian Youth, FIJL). The international campaign to aid Spain during the war, made famous by the International Brigades, has been the subject of numerous monographs, but the anarchist contribution to this phenomena has also been understudied. We as historians may have started looking at the anarchists during the Spanish Civil War, but we have certainly not finished. This blog article is an adaptation of a paper given at a symposium on civil wars organised by the Centre for Public History at Queen’s University Belfast on 30 November 2018. Chris Ealham, Living Anarchism: José Peirats and the Spanish Anarcho-Syndicalist Movement (Edinburgh, 2015), p. 154. Horacio Martínez Prieto, Posibilismo libertario (Choisy-le-Roi, 1966), p. 75. Noam Chomsky, On Anarchism (London, 2013), p. 48. Barry Pateman, ‘Anarchist history: confessions of an awkward pupil’, Libcom.org, https://libcom.org/library/anarchist-history-confessions-awkward-pupil-barry-pateman [Accessed 30 January 2019].